Iran celebrated on Sunday the 39th anniversary of its takeover of the U.S. embassy. 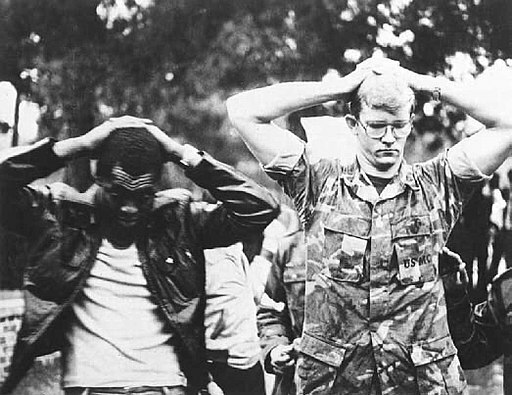 This was a terrible thing that happened in 1979, during which 52 Americans were taken hostage and held for 444 days. It was the perfect day for America to restore the sanctions against Iran that had been lifted since the implementation of the JCPOA. Especially considering the things chanted by the Iranians during their “celebration.” Things like “Down with the U.S.” and “Death to Israel.” It beggars belief that we ever did favors for them and gave them money, entered into any sort of agreement with this terrorist theocracy. It’s about time we did what we could to eliminate the threat to the free world and clean up that mess. Previous Pittsburgh: Armed in the Synagogue?